The process of applying for citizenship is known as naturalization. It’s the most common way that foreign nationals become U.S. citizens. An estimated 8.8 million permanent residents in the United States are eligible to naturalize right now. It’s easy to remain a permanent resident, but there are significant advantages to becoming a citizen. In a more contentious immigration environment, it helps insulate you from problems down the road. There are also more job opportunities, scholarships for students, and independence from more immigration fees. There’s a government filing fee to apply for citizenship. But once you become a citizen, there’s no need to renew your green card. The average 30-year old will spend at least $5,300 in green card renewal fees over a lifetime. With an American passport, traveling is generally easier. You won’t have to wait in the long lines for green card holders. Entry to several foreign countries doesn’t require a visa. 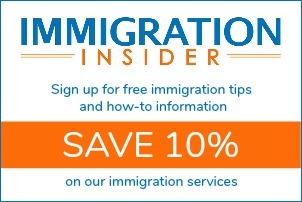 Permanent residents may be put into removal (deportation) proceedings for certain crimes. U.S. citizens can’t be deported. Of course, you can’t lie in order to gain your U.S. citizenship. This would invalidate any protections. The spouse, unmarried children and parents of U.S. citizens are immediate relatives. There’s no wait an immigrant visa. Spouses and children of permanent residents may have to wait for years to obtain a green card. U.S. citizens can petition parents and siblings while permanent residents cannot. Many permanent residents put their green cards at risk by staying outside the United States too long. They risk abandonment of permanent residence. U.S. citizens may stay outside the United States indefinitely. U.S. citizens and green card holders can be treated differently by tax law. U.S. citizens may be subject to fewer restrictions on estate taxes and may be eligible for more tax exemptions than permanent residents. For more information, contact the financial planner with an immigrant specialty. 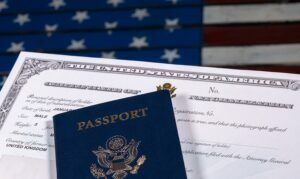 If you have permanent resident children under the age of 18 that live with you, they will automatically become U.S. citizens when a parent naturalizes. There is no additional fee. What’s more, many financial aid grants for college are available only to U.S. citizens. For a detailed explanation of eligibility, visit citizenship requirements. For example, you may not know that you may submit the application up to 90 days before meeting the five-year continuous residence requirement. You may find it easier to use CitizenPath’s eligibility quiz at the beginning of the application. In just a few questions, we can help you determine if you’re ready to apply for citizenship. You’ll need to have your Alien Registration Number and date that you become a permanent resident. Both can be found on your green card. 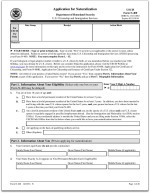 If your green card is expired, you may prepare Form N-400. However, if your green card has been lost, stolen, or destroyed, you’ll need to file Form I-90 to replace your card before applying for citizenship. It isn’t mandatory that you have a Social Security number. If you have one, you’ll include it on your application. If you made any trips outside the U.S. during the five years that precede the application, you’ll need to document the dates of each trip (of 24 hours or more). It can be difficult to remember specific travel dates. Check credit card statements, frequent flyer records and other receipts to estimate dates to the best of your ability. U.S. law requires that every U.S. male between the ages of 18 and 26 register for the Selective Service. This requirement applies to citizens, permanent residents, refugees, asylees, and even undocumented aliens. It does not apply to women or any foreigners in the United States with non-immigrant visas (e.g. tourists, students, business, etc.). If you’ve already registered, you can get an instant Official Letter of Registration at www.sss.gov. If you did not register and are still within this age range, you must register at the same website. If you failed to register as required, you should not apply for U.S. citizenship until age 31. If you apply before this 5-year period has passed, USCIS will likely deny your application on the basis of not meeting the good moral character requirement. You’ll need to list your address(es) where you lived for the past five years (or three years if you have been married to a U.S. citizen during that time). You’ll need to list your job and/or school information (organization name, address, time period) for the past five years (or three years if you have been married to a U.S. citizen during that time). Employment and education are not requirements. The information will be used for a background check. If applicable, you’ll need to list information about your current spouse and any former spouses. Information includes: name, address, birth date, marriage date, immigration status, country of citizenship and A-number if applicable. If applicable, you’ll need to list information about your sons and daughters (even if they are deceased or not living with you). Information includes: name, address, birth date, country of birth and A-number if applicable. The USCIS form to apply for U.S. citizenship is formally known as Form N-400, Application for Naturalization. It’s a 20-page form that launches a review of your entire immigration history. USCIS will re-analyze how you obtained your permanent resident status, travel records and a criminal background check to ensure you meet the eligibility requirements. Maintaining accuracy and truthfulness is critical. 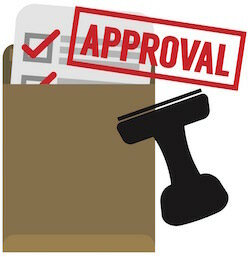 In fact, USCIS recently updated its policy guidance that makes it easier for adjudicators to deny applications instead of issuing a Request for Evidence (RFE) first. It’s very important to submit at application package that is complete. For the added reassurance that you’re doing everything right, use CitizenPath’s service to apply for citizenship. The attorney-designed software is an affordable way to prepare the Form N-400 with ease and get custom filing instructions for your situation. Most applicants must pay $725 total. This includes a $640 filing fee and a $85 biometrics fee. However, applicants over 75 years of age don’t need to pay the biometrics fee. Applicants who apply on the basis of military service get all fees waived. Submit photocopies of both sides of your green card. If you don’t have it, you’ll need to submit a copy of the I-797C from the green card renewal or some other proof of your permanent resident status. Include a photocopy of your current legal marital status document. Examples of acceptable documents include your current marriage certificate, divorce, annulment decree, or death certificate of former spouse. The list of supporting items above is for the typical case. Based on your answers in the application, some additional documents may be required. Military applicants will need to submit additional items. Your CitizenPath filing instructions will provide a detailed list of supporting documents and how to organize your package. You won’t need to send things like tax returns and passports. However, there are several items that every applicant should take to the naturalization interview. Based on your case, CitizenPath filing instructions include a list of items to take to your naturalization interview. USCIS does not encourage it, but it is possible to apply for citizenship with an expired green card. What’s important to realize is that the naturalization process could take about a year. During this time, you would generally have no proof of permanent resident status. This is a problem if you need to travel abroad, take a new job, or even renew a driver’s license. For this reason, most people apply for green card renewal first. If you choose to renew your green card, it’s not necessary to wait the 10-12 months to receive your new card before applying for U.S. citizenship. Once you receive the I-797C, Notice of Action (usually about two weeks after filing), you may file the Form N-400, Application for Naturalization. Include a photocopy of your receipt letter (I-797C) to prove that you’ve started the renewal process.